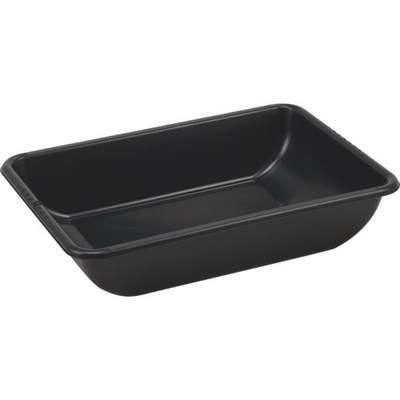 Heavy-duty mixing tub for all small jobs or at home projects. Made of plastic. Includes measuring guide in inches and centimeters, peg hole for towing loads or for hanging tub when not in use. For all indoor/outdoor projects. Use in masonry work, garden, on farms, garages, and even as an ice chest. 27" L. x 19.7" W. x 5.6" H. 10.67 gallon capacity. Color: Black.